A series of just twelve numbered, authenticated pieces: this exceptional watch was designed and developed by Philippe Lebru. At the heart of this improbable project… The fragment of a 4.5 billion-year-old meteorite been cut, polished and machine-finished (in the Jura) to form a watch dial. 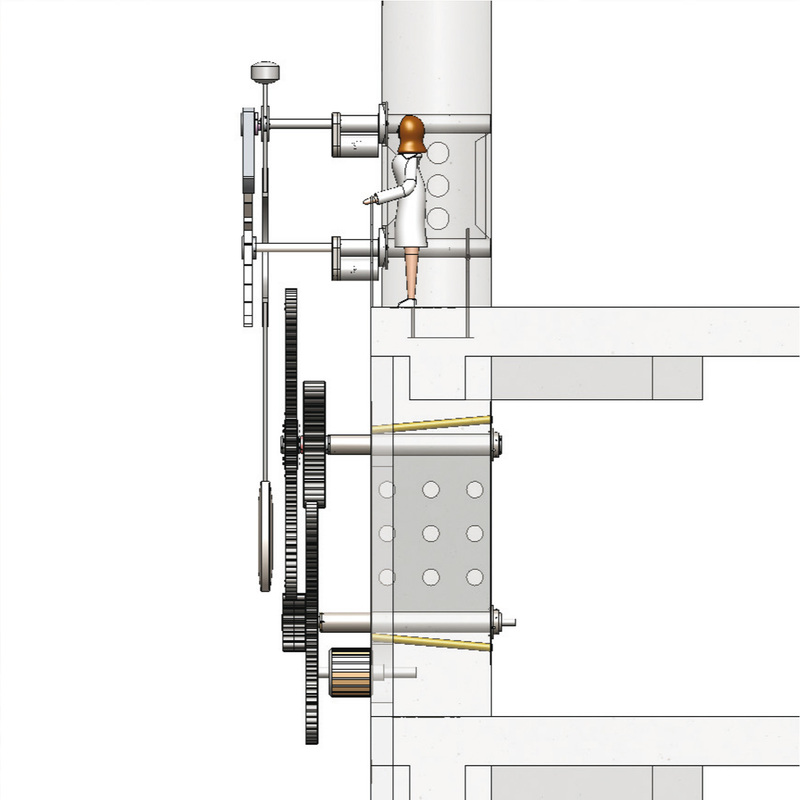 The additional movement plate, of Franche-Comté manufacture, enables the indication of a big date calendar in the 12 o’clock position and a dual zone with hours and minutes at 6 o’clock. The movement is Swiss-made. 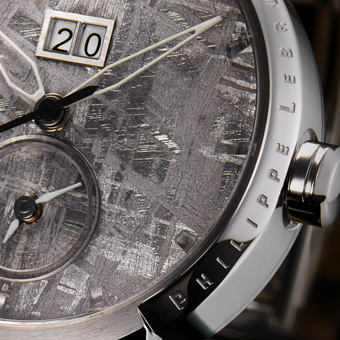 The watch comes with a certificate of authenticity and a Besançon Viper stamp which guarantee its chronometric quality. “La Matrice”, named Clémence, is suspended over the concourse on a wall between levels -2 and 0. 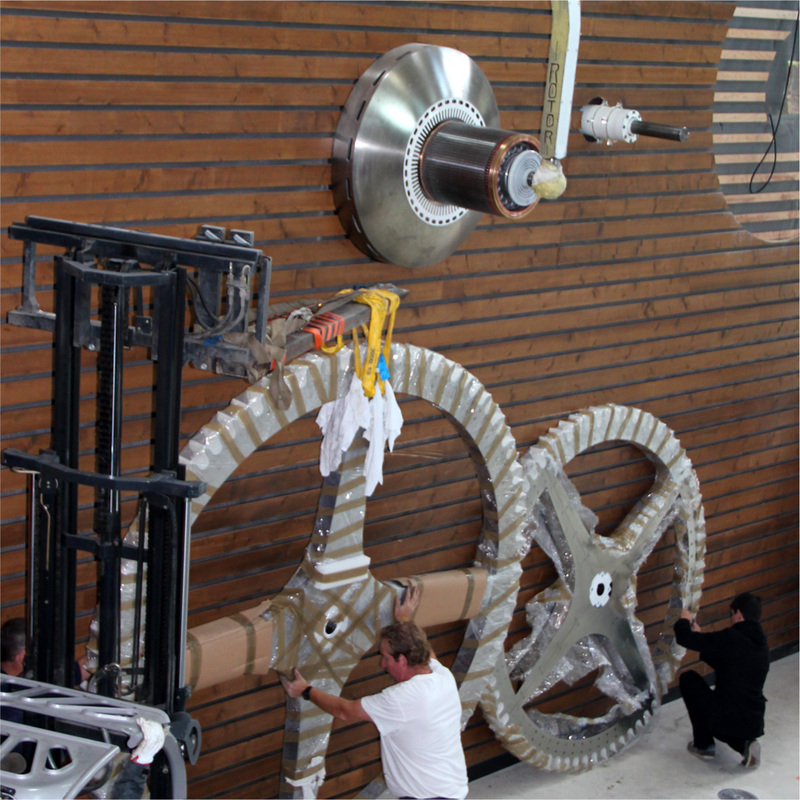 It features measurements as extraordinary as its bold design: at six metres high and weighing in at six tons, inserted into an eleven-meter post, the work features a four-metre pendulum and exposed cogwheels up to three metres in diameter. In a nod to its railway inspiration, the energy that drives it is supplied by a TGV motor rotor. In all, a dozen different companies of Franche-Comté participated in the manufacture and assembly of this monumental clockwork piece. Light, the symbol of very high speed (Très Grande Vitesse), beams like a heartbeat throughout the station. When the pendulum reaches its vertical position, it relays a luminous signal to two poles atop the station roof. The “tick” and “tock” that can be heard are human voices: thus the “master” clock sets the tone for the passage of time in the station. The time is of great value in travel. 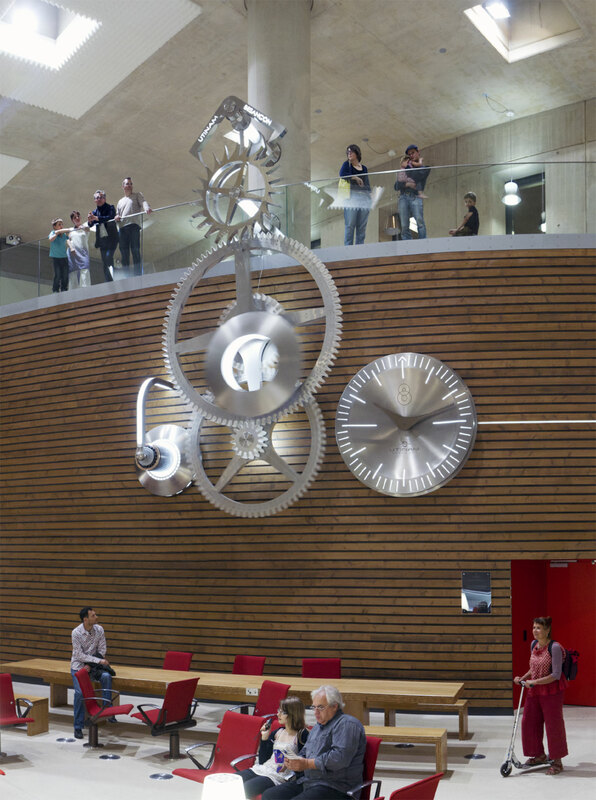 Time takes over the new TGV station in the form of a monumental work symbolising clockmaking and heritage in Franche-Comté. 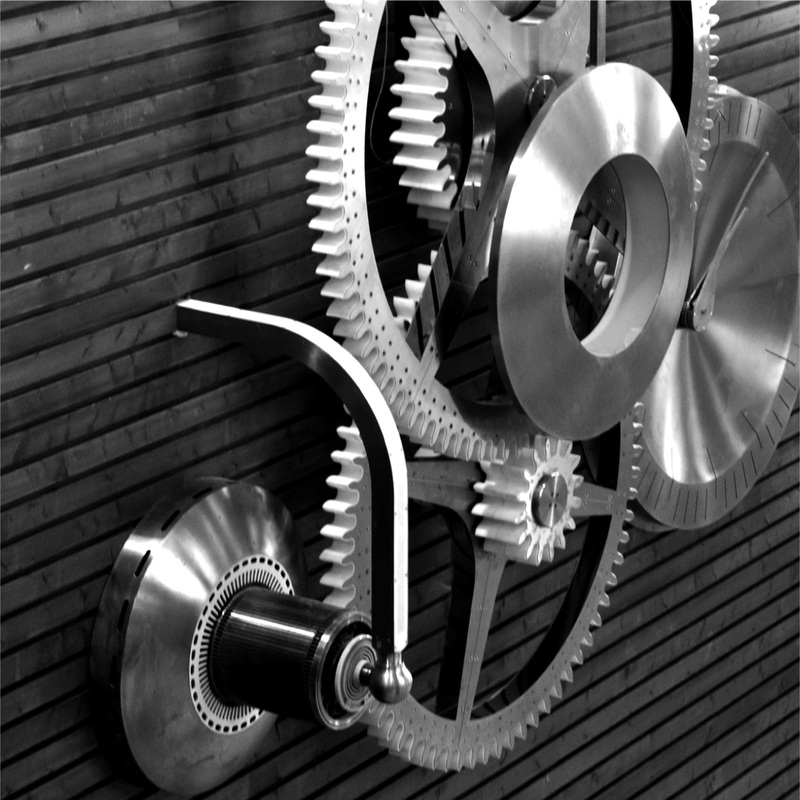 At the source of the materialisation of time is the master clock; its energy source is a TGV motor which has become an integral part of the clock. This mechanical instrument functions as both a circular and pendulum movement. The system is the “beating heart” of the train station. It is a living timepiece with a back-and-forth movement as pertinent to train travel as the rotating rotor of the TGV motor. This work, ordered by the City of Besançon, was achieved through the technical and financial partnership of SNCF Gares & Connexions, with the financial support of the company MATY and the companies which participated in the TGV station construction work: TP BONNEFOY SAS, ANTONIETTI, CAMPENON BERNARD Franche-Comté, PARIETTI SAS, SAS EUROVIA AFC, and ALSTOM, which donated the TGV rotor as part of a sponsorship operation supported by the heritage foundation. 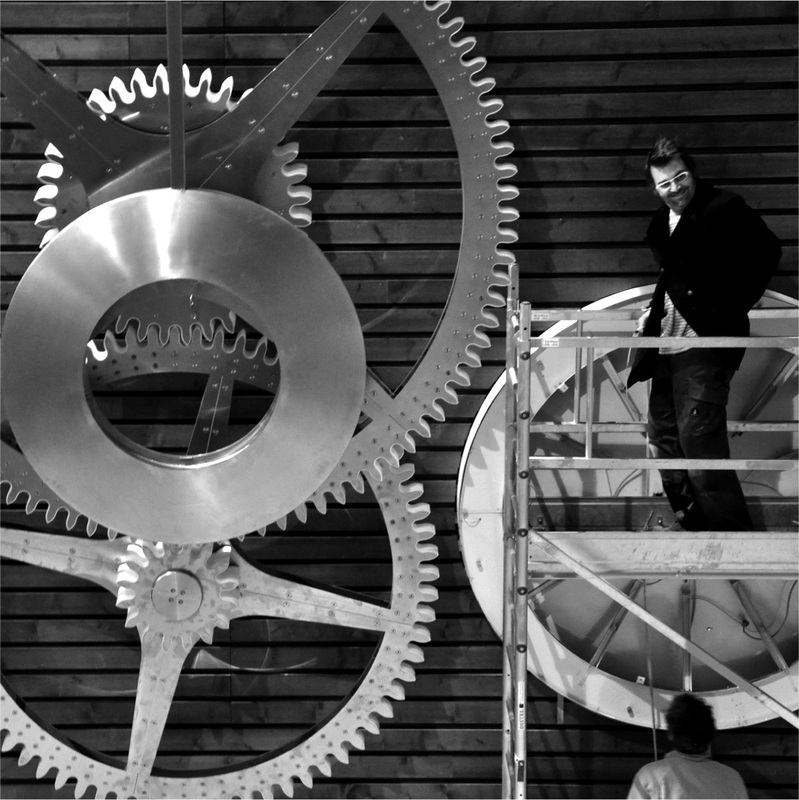 A number of companies based in Franche-Comté participated in the manufacture of this clock, and we thank all the people who contributed to the materialisation of this time-exploring machine.